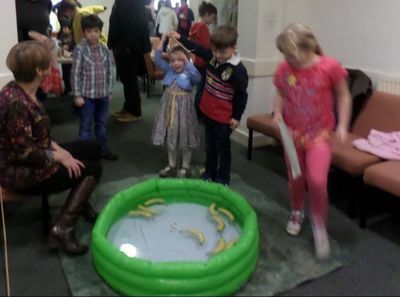 Banana fishing activities for all! 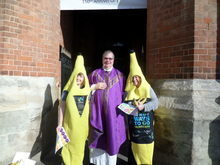 Father John Cross and 2 Fair Trade bananas promoting our work! Great selection of products for sale. 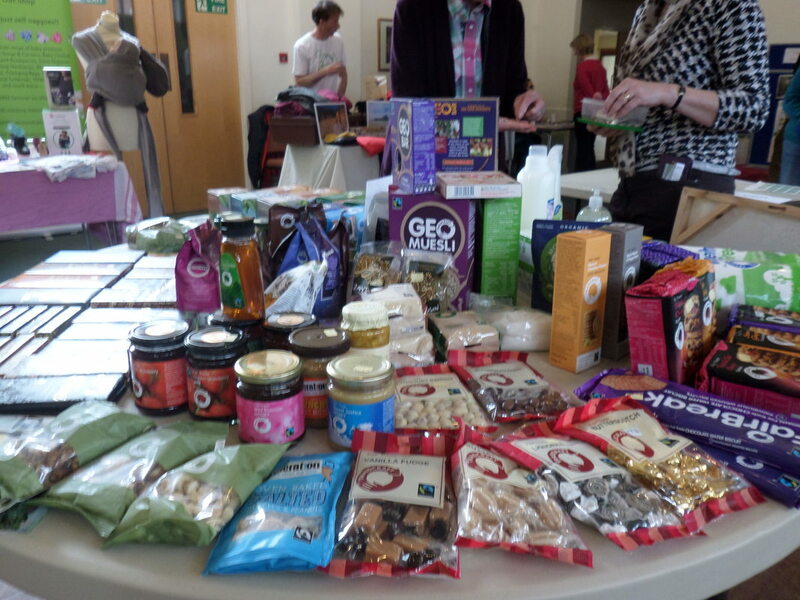 As a Fair Trade parish we have monthly sales of Traidcraft goods (food and household items) at Our Lady's Church in Lillington after the 12.30pm Mass on Saturday and 10 a.m. Mass on Sunday. Times are announced in the Parish newsletter. We are looking for a few people who can offer to sell goods at St Peter's Church once a month also. If this might be something you are interested in please use the form below to contact Jenny Armstrong. During Fair Trade Fortnight 26th February -11th March 2018, we have a special awareness raising event each year. Please check out the Parish Calendar for more details. We encourage all groups using the Church premises to use fair traded tea and coffee.